I am trying to gather some information and at this stage I will not publish any pictures or names not to offend any pesons. THe Good News is that these fakes are mainly high classess -Bad news is they are expensive for fakes. Thank you, Graf! 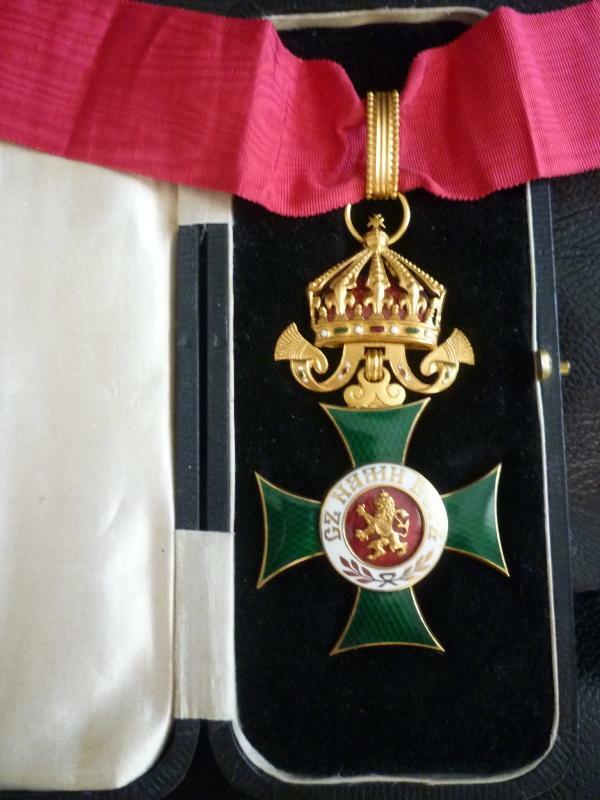 Interested members may wish to look at page 3 of GMIC thread:	Bulgarian Order of St Alexander -Two Variatians? 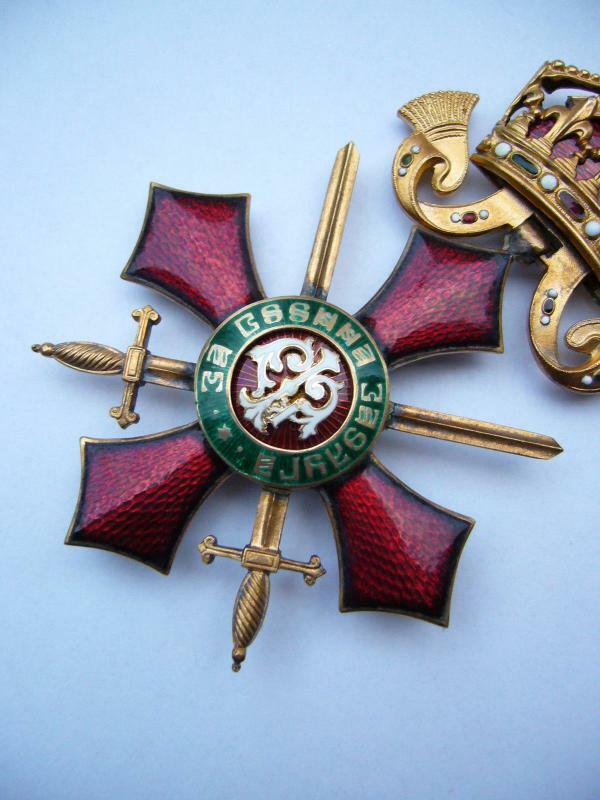 A very brief discussion of some apparently altered/modified Bulgarian czarist Order insignia exists there. 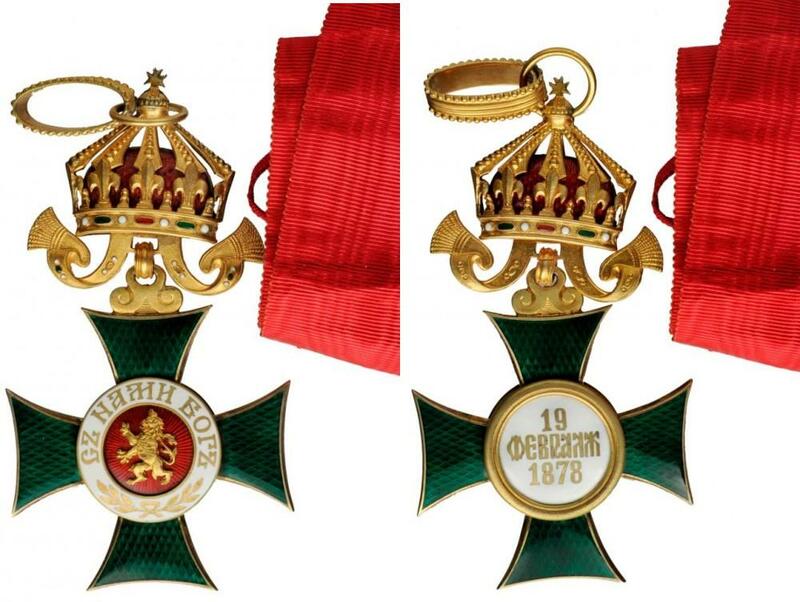 Castings of very rare Bulgarian medals are reported, examples include the Alexander accession medal and Ferdinand 25th year reign commemorative medal. The fakes are made to decieve ! Other medal that I have seen as fake is the Medal for Science and Art - very bad copy The details were very blured and unclear. 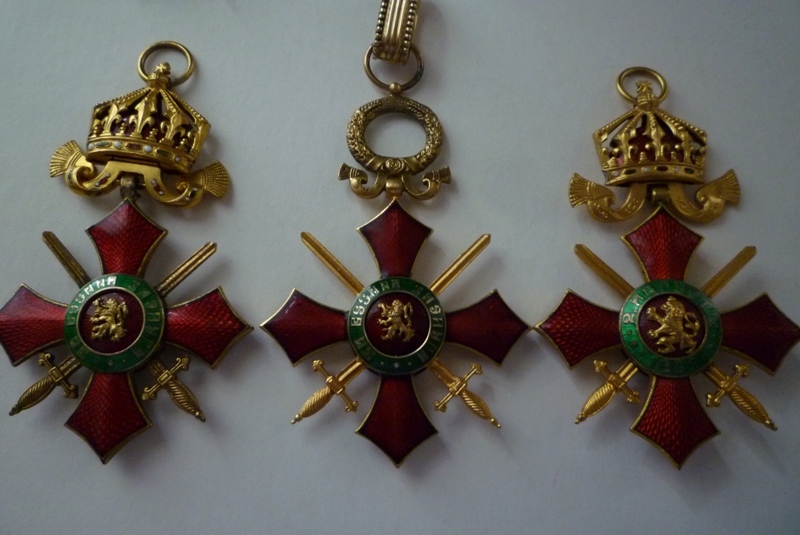 When ask question do not accept any explanations that this is made during the Regency/Republican period, when the quality of some Decorations dropped This does not apply to these rare medals ..or they are prototype is another explanation for the very bad quality fakes. Be aware of any Luxury Sets as well. 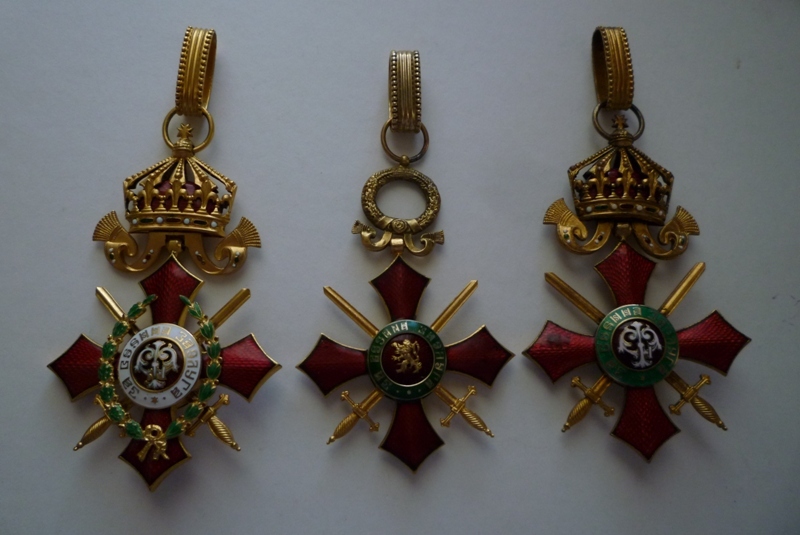 Remember- The Luxury Sets were made for a very special recipients and they were of very high quality made with expensive meterials such as Gold, Silver and Real Diamonds Most of them during Ferdinand period. Ferdinand will never allow a bad quality Luxury Set to be made. Comiing from one of the richest families in Europe, he was fanatic about quality. Do not be fooled. 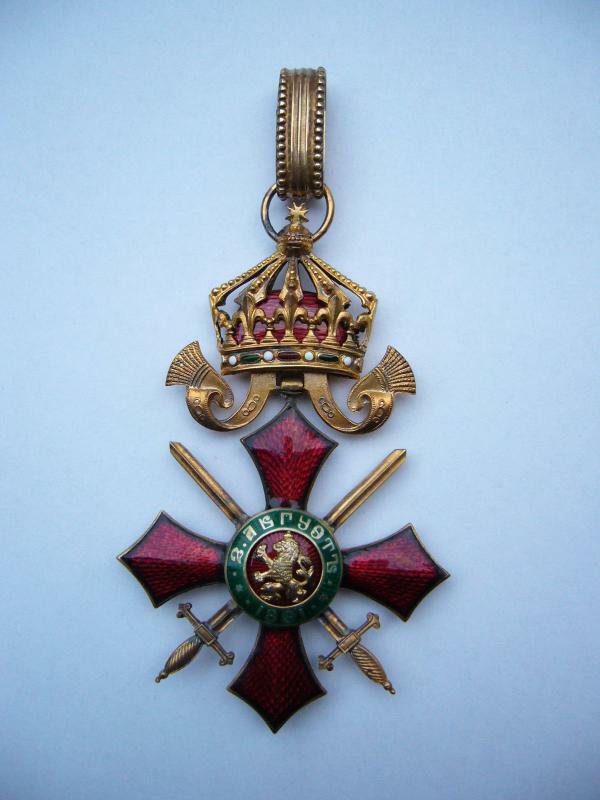 -The Cross is made of Silver.the marks on the loop have been erased, however the Crown and the swords are gilded copper or red base metal. 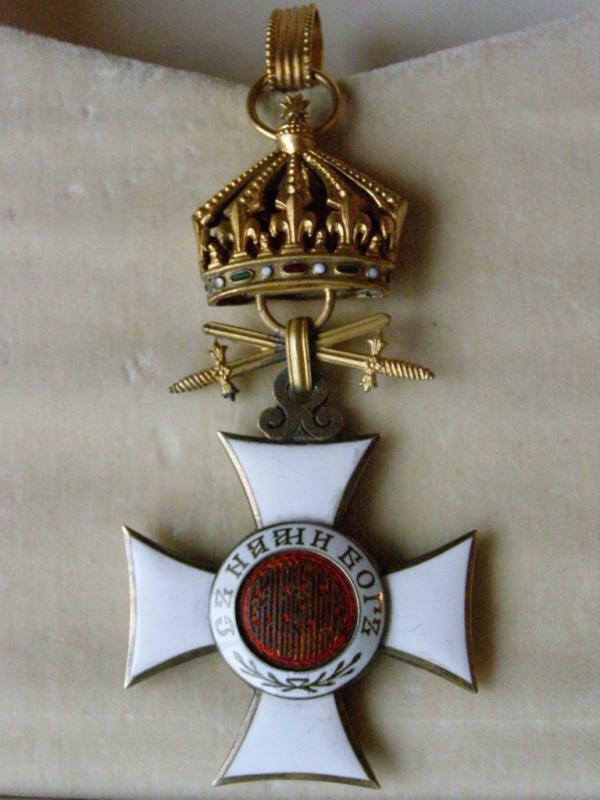 To add to what Graf said - I've noticed fakes of high Bulgarian awards started appearing on the market around 2007. Most of them were offered by a dealer from Bulgaria named Victor. Over the last few years he's been operating on eBay under several names, currently he sells under account "kaissa64". His tactic is to operate under one name for some time, then close the store and open under different name. Apparently because of the buyers discovering that he sells fakes and probably of complaints they file with eBay. It shows how markets have changed 20 years ago the fakes would have cost more to produce than the originals were worth. Bad news...Bulgaria have the most beautiful Orders. Any Fake has a place here. We as collectors have to keep our gurd very high, otherwise we will spend our hard made money for something that has much less value or any value at all. Please take a look at attached pictures. 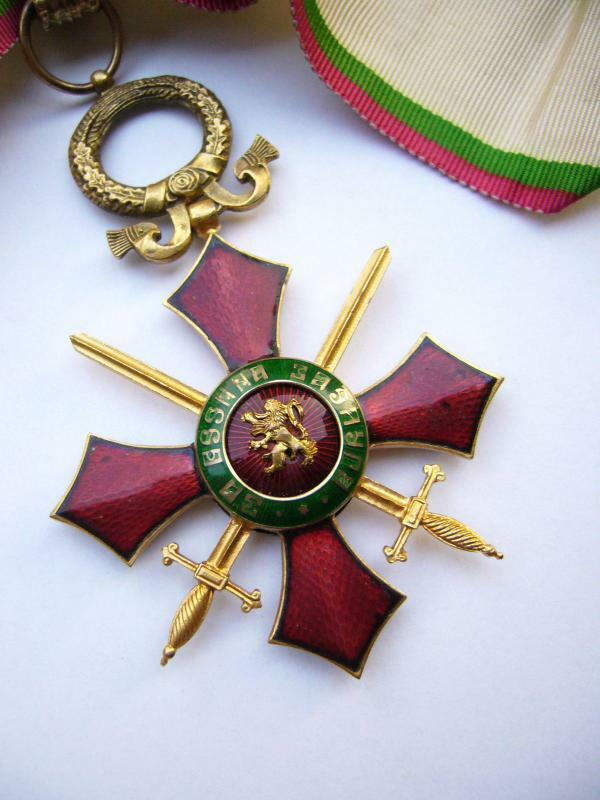 Do you think that this Bulgarian medal is a fake? With a fine neddle try to penetrate the green, white and the red enamesl The fake modern enamel is soft and the needle will sink very easy. I am sure the enamel is OK. If the test is negative i.e, Good then Congrats on the nice buy. Your cross looks normal, I don't see any warning signs. I love the green enamel on the Third Classes, one of the most attractive pieces amongst the Bulgarian series. 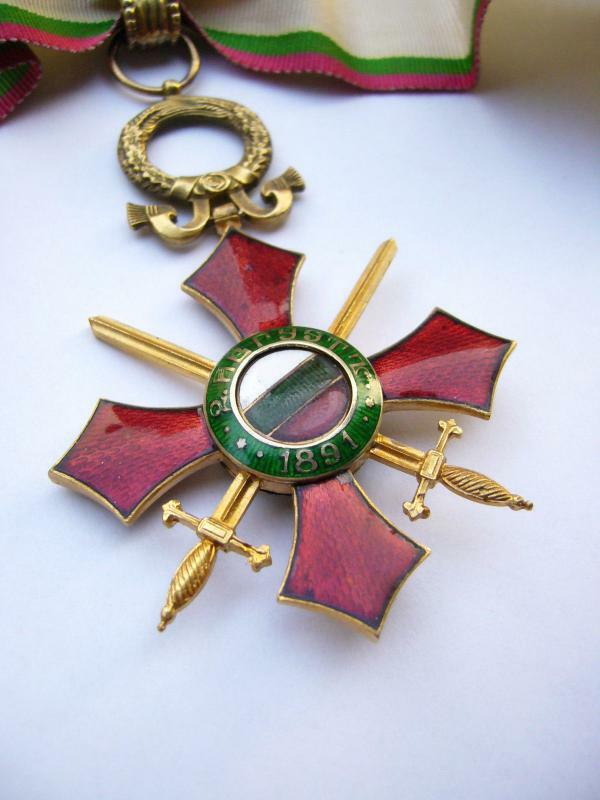 These croses from Boris period were made in Germany and before end of WWI in Austria. Originals or Fakes? Is any posibility they have been made in Bulgaria? When? 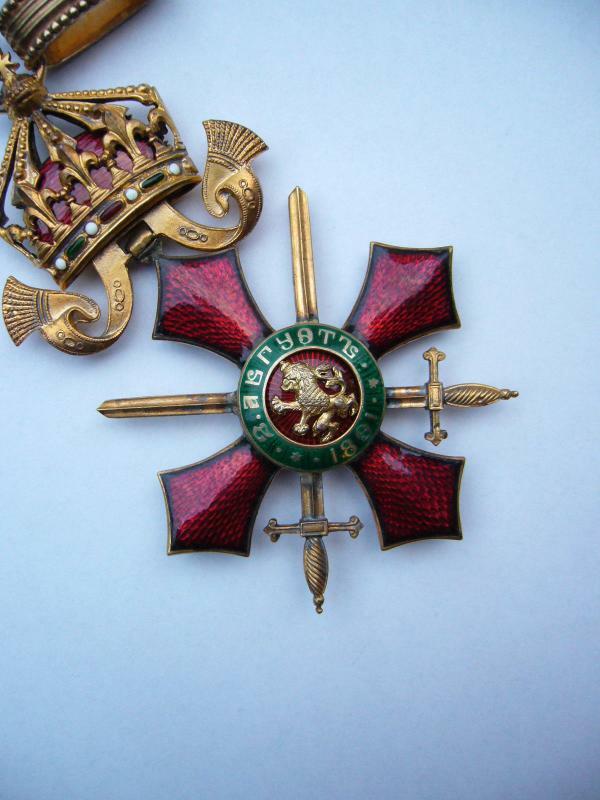 Have seen Boris commanders for nearly 45 years & republic for 30--never viewed others with the peculiar dark toning along cross edges, apparently under enamel. Some motto characters a bit odd as well. That said, the Champleve work and the Ferdinand monogram look OK. A blurt on the Boris connector to the suspension--agree with your comments on oxidation of Boris metal. Swords metal work somewhat thin but if whole piece is anemic..... 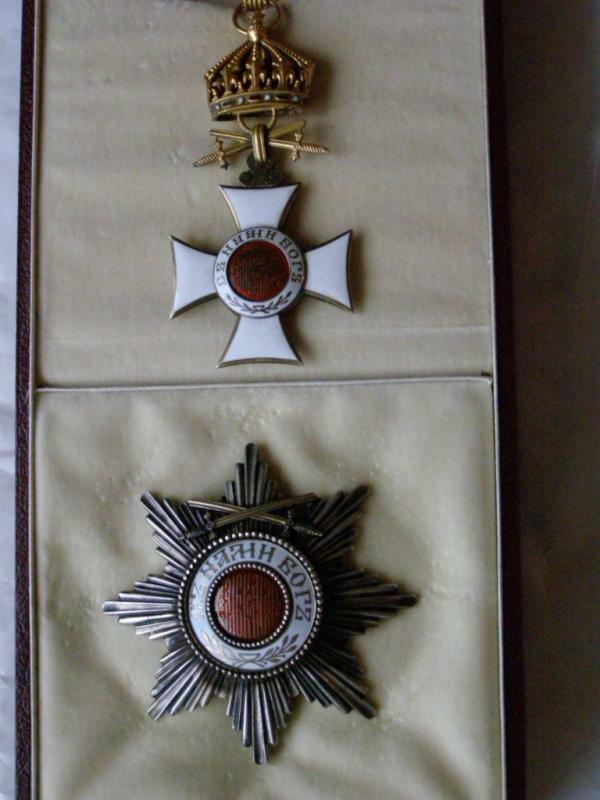 These do NOT appear the same as the pieces awarded to Soviet/Red Army personnel in 1946. Thank you for the comments It looks like a new wave of Fakes are on the market with improved enamel (hard instead of soft type). Graf--Thank you for these images and continuing information. Are these showing up at club or via dealers and at what price? The commander war wreath certainly looks off, Seems the ribbon upper bow opening is drilled round instead of conforming to the ribbon and the oak/laurel leaves seem poorly defined. Note badly prepared, off center, poorly configured crosses atop suspension crowns. The republic commander wreath suspension, on the other hand, looks normal. Faker error in putting so many examples onto market at same time!! The Problem ones are the Republican and The Boris III Commanders on my first listing. The good news is they still can not match the one of the Old Original Crosses, however they are closing the gap.